This second edition of Daniel W. Stroock's text is suitable for first-year graduate students with a good grasp of introductory, undergraduate probability theory and a sound grounding in analysis. 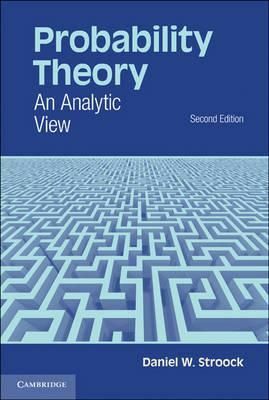 It is intended to provide readers with an introduction to probability theory and the analytic ideas and tools on which the modern theory relies. It includes more than 750 exercises. Much of the content has undergone significant revision. In particular, the treatment of Levy processes has been rewritten, and a detailed account of Gaussian measures on a Banach space is given.